Paw-fect match: dog-friendly spots in Melbourne. Weekends are for friends, family and fluffy four-legged buddies. Next time you’re venturing out and can’t say no to those wide pu .. 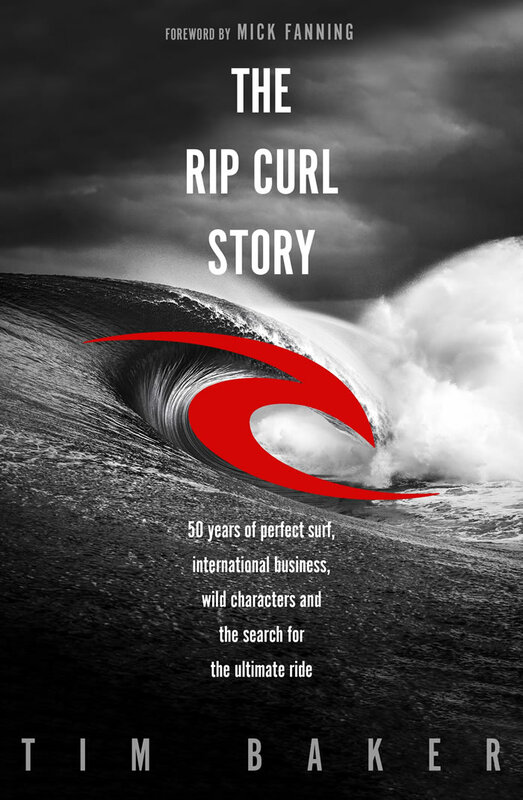 The Rip Curl Story 50 years of perfect surf, international business, wild characters and the search for the ultimate ride By Tim Baker Paperback / softback, 400 pages The Rip Curl S ..
Where To Take Visitors to Melbourne? Popular tourist locations in Melbourne, favourites for visitors and locals alike. 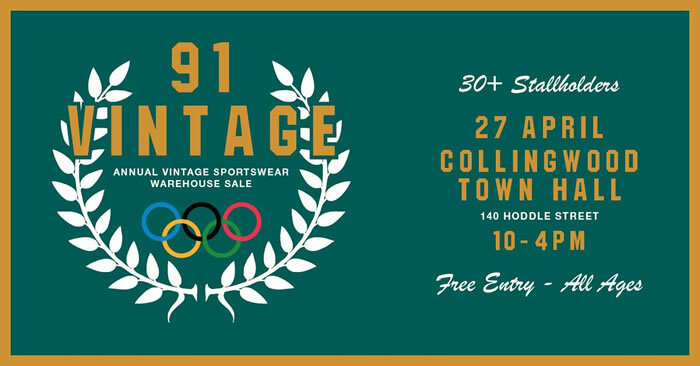 ..
Saturday, April 27, 2019 Collingwood Town Hall 91Vintage Presents our Annual Vintage Sportswear Warehouse Sale for 2019 30+ Stallholders selling strictly Vintage Sportswear Apparel ..
Easter Fun Day 10:00AM - 4:00PM SUNDAY 21 APRIL 2019 Bring the family for a wonderful day out at Rippon Lea Estate. 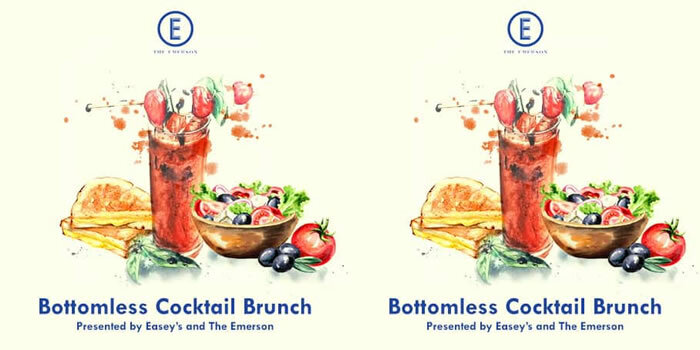 Take part in our Easter Egg Hunt through the amazing grounds, meet th ..
Melbourne's fave boozy brunch is back and it's even bigger than the last! Easey's have moved in and taken over our kitchen so it only makes sense to team up and create one epic Bottomles ..
YOGA In The Park | Edinburgh Gardens - Fitzroy North This EASY TO FOLLOW class is suitable for all levels + perfect for BEGINNERS! Calm your mind, release tension in your body and ex ..
Supersmall City Club every Saturday night! Supersmall City Club is a Cocktail Bar located in the La Di Da club building. An exquisite room that can be utilised for many an occasion. ..
Join us at Supersmall for Bottomless Cocktails or Bottomless Beers! Because one is never enough! You can enjoy 2 hours endless refills from 6-8pm or 8:30-10:30pm! 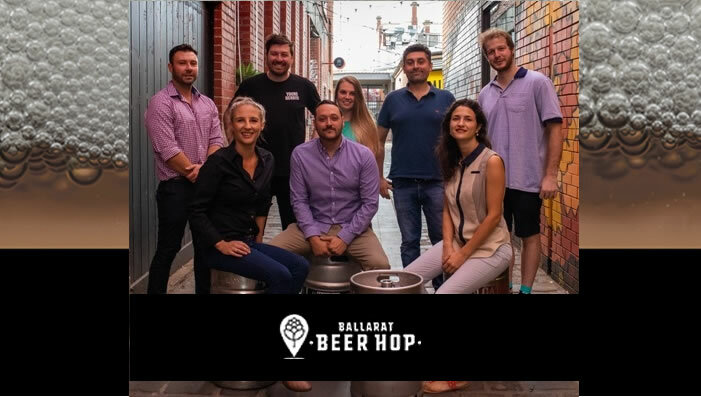 Cocktails to choose f ..
April 20th, 2019 Ballarat 18+ 6 VENUES | 12 BREWERIES | 6 WINERIES This Easter Saturday you can work your way through 6 of Ballarat’s favourite venues who will be featuring 12 of B ..
Peninsula Cup Day Sunday, 3 November 2019 Gates open approximately 1 hour before Race 1 320 Racecourse Rd, Mornington VIC 3931 ..
Memsie Stakes Day Saturday, 31 August 2019 Gates open approximately 1 hour before Race 1 The big guns are back at Caulfield to contest the first Group 1 race of the season the $10000 ..
P.B. Lawrence Stakes Day Saturday, Aug 17, 2019 Gates open approximately 1 hour before Race 1 ..
Grand National Hurdle Sunday, 4 August 2019 Gates open approximately 1 hour before Race 1 591-659 Princes Hwy, Springvale VIC 3171 ..
Bletchingly Stakes Day Saturday, 27 July 2019 Enjoy all the racing action at Caulfield. Please keep in mind that though gates will be opening at 10am for the Special General Meeting bars ..
Sir John Monash Stakes Day Saturday July 13, 2019 Gates open approximately 1 hour before Race 1 ..
Australian Hurdle and Steeplechase Day Sunday, May 26, 2019 Ladbrokes Getting There Make your journey to and home from the track a simple one – Ladbrokes Park is widely accessibl ..
Gates open approximately 1 hour before Race 1. Getting There Make your journey to and home from the track a simple one – Mornington is accessible via car, taxi and ride-share. Memb ..
Victorian Owners and Breeders Race Day Saturday, Apr 27, 2019 Gates will open approximately 1 hour before Race 1 The annual Victorian Owners & Breeders Race Day reward those who choose ..
24 hours of unmissable sport arrives at The Valley highlighted by 'The Race Where Legends Are Made.' The Ladbrokes Cox Plate Carnival is a week-long festival of events like no other wi ..
Caulfield Cup Day Saturday, 19 October 2019 Gates open approximately 1 hour before Race 1 Caulfield Racecourse, Station Street, Caulfield East Known as the world's richest turf handic ..
Catanach's Jewellers Blue Sapphire Stakes Day Wednesday, 16 October 2019 Gates open approximately 1 hour before Race 1 Caulfield Racecourse, Station Street, Caulfield East VIC 3145 Hom ..
Sunday Sep 29, 2019 Caulfield Recover from Grand Final Day the only way Melburnians know how to and back it up to another great sporting and social event! The Hyland Race Colours Und .. The Naturalism Stakes is a Group 3 open handicap race that is held each year at Caulfield racecourse during the Melbourne spring racing carnival in September. The race is run over a dist ..
Each year the Caulfield Cup Carnival delivers one of the most highly anticipated events on the Australian sporting and social calendar where expert punters and the newly initiated gather for .. Zipping Classic Day Saturday November 16 2019 The Sandown Spring Carnival Race Day rounds off another spectacular Spring Racing Carnival in Melbourne. Featuring three first clas ..